This week on Context, we recorded the podcast live at Sensu Summit in Portland. 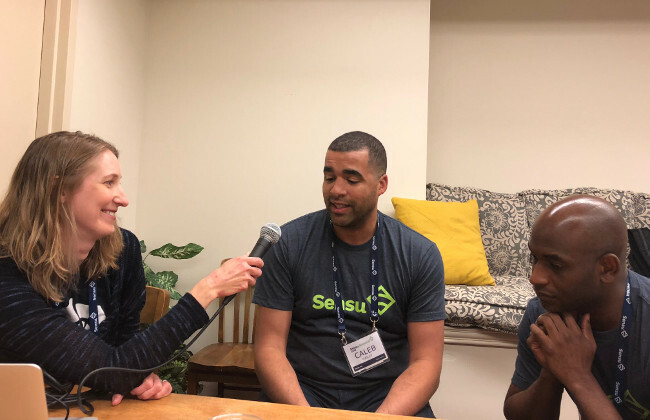 Joining us were Google technologist Kelsey Hightower and Sensu CEO Caleb Hailey, to discuss the challenges of microservices monitoring. Many traditional monitoring tools, such as Nagios, or even Amazon Web Services’ CloudWatch, fail to capture the full picture of what is going on within a system, the panel agreed. This week, Hailey wrote a post for TNS on how Sensu can automate the process of collecting sensor data from multiple tools and multiple formats. “Hybrid cloud monitoring becomes a lot easier to reason about when everything is a ‘workflow.’ It’s not only easier, but the possibilities for what you can monitor (and how) are virtually endless,” he wrote. Raygun provides full stack error, crash, and performance monitoring for tech teams. If you’re concerned you’re losing customers to poor quality online experiences, Raygun provides you with the answers. Raygun surfaces errors and performance problems into a dashboard then gives you the actionable information you need to solve them BEFORE they reach your customers. Raygun has created a special offer for The New Stack listeners. Head to raygun.com/tns, get up and running, and claim your free gift today! TNS editorial director Libby Clark hosted this podcast, with the help of TNS founder Alex Williams and TNS managing editor Joab Jackson. Aqua Security, LaunchDarkly are Raygun are sponsors of The New Stack. Feature image by rawpixel on Unsplash.